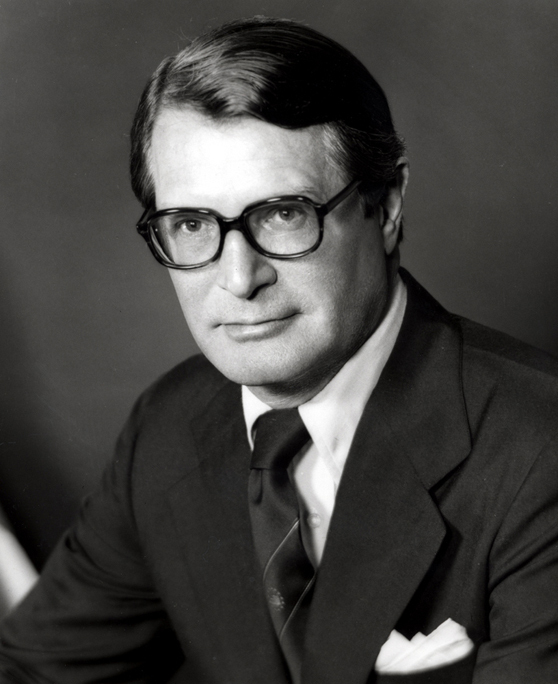 A prominent attorney and politician, Richardson had the distinction of being the only person to serve in four Cabinet posts in U.S. history: as Secretary of Health, Education, and Welfare (1970–1973), Secretary of Defense (January–May 1973), Attorney General (May 24–October 1973), and Secretary of Commerce (1976–1977), but it is for his role in the Watergate affair that he is best remembered. On October 20, 1973, President Richard M. Nixon ordered Attorney General Richardson to fire Watergate Special Prosecutor Archibald Cox (who demanded that President Nixon turn over tape recordings of Oval Office conversations). Richardson resigned rather than obey the order. Richardson’s second-in-command, Deputy Attorney General William Ruckelshaus, also refused to fire Cox, and resigned, whereupon the president called on U.S. Solicitor General Robert Bork (a staunch conservative) to fire Cox. The sequence of resignations and firings was dubbed the “Saturday Night Massacre” and ensured Nixon’s downfall.